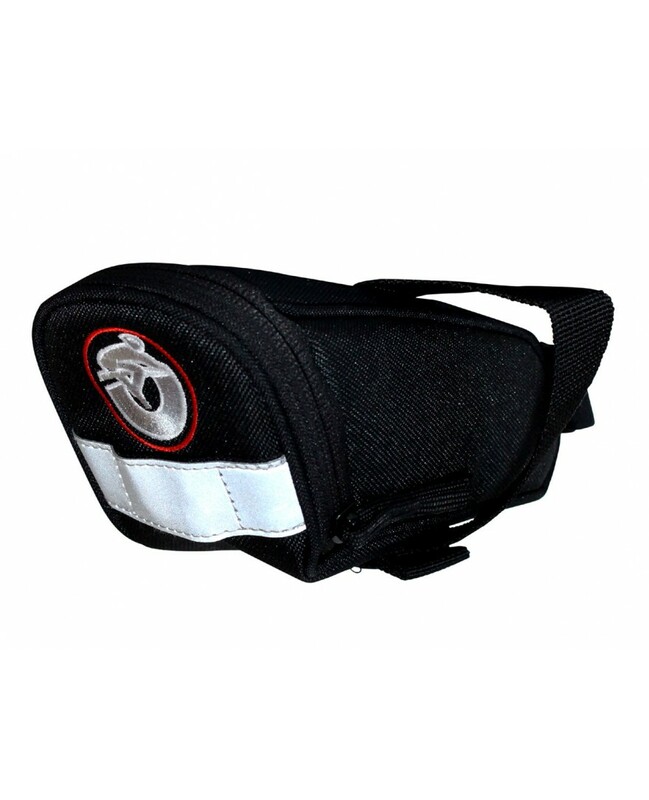 This Bike Street brand bicycle seat bag is a great little seat bag with big performance. Most of the time when you are searching for a bicycle seat bag you need something to hold essentials like a phone, keys and a tube. Well this does that and its a great value. And if you need a mini pump to inflate the tube we have those too. Some bicycle seat bags are a pain to install too. But not this one! One simple strap wraps around the seat rails underneath with one click. Then a velcro strap around the seat post and you are ready to do. The large zippered opening makes it a breeze to get all your essentials in without having to fumble around. A long 1 inch zipper pull makes for an easy grab and pull. On the bag of the bag there is a 1 inch reflective strip that provides visibility if you are riding at dusk or night and it also accommodates a tail light. Constructed out of tough 210D nylon fabric this bicycle seat bag is sure to last you a long time. We use it and its great! eCyclingstore searches out only the best buys and passes the savings on to you. We only sell high quality products that meet our expectations and stand by all our products 100% or your money back. Check out our selection of bicycle seat bags.